If you do the math, becoming an entrepreneur is insane. The odds of success are tiny; failure is almost guaranteed. To make the leap, you have to be fearless. I spent the past three years working on a book, Originals, about the people who champion new ideas to drive creativity and change in the world. Along the way, I hunted down some of the most original entrepreneurs of our time, sitting down with tech icons ranging from Larry Page and Elon Musk to Jack Dorsey and Mark Cuban. When I asked them to take me back to the early days, they caught me off guard. They all felt the same fear of failure that the rest of us do. They just responded to it differently. When most of us fear failure, we walk away from our boldest ideas. Instead of being original, we play it safe, selling conventional products and familiar services. But great entrepreneurs have a different response to the fear of failure. Yes, they’re afraid of failing, but they’re even more afraid of failing to try. In work and in life, there are two kinds of failure: actions and inactions. You can fail by starting a company that goes out of business or by not starting a company at all. By getting left at the altar or by never proposing marriage. Most people predict that it’s the actions they’ll regret more. We cringe at the anguish of declaring bankruptcy or getting rejected by the love of our life. But we are dead wrong. Ultimately, what we regret is not failure, but the failure to act. Knowing that is what propels people to become original. Leonardo Da Vinci wrote repeatedly in his notebook, “Tell me if anything was ever done.” He might have been afraid to fail, but he was more afraid that he would fail to accomplish anything of significance. That propelled him to keep painting, inventing and designing to become the ultimate Renaissance Man. Da Vinci didn’t answer my request for an interview. But the entrepreneurs I met consistently told me they weren’t afraid of failing, but of failing to matter. And that meant they had to make an effort, to take a shot at bringing their new ideas into the world. Throughout history, the great originals have been the ones who failed the most, because they were the ones who tried the most. Most of Thomas Edison’s 1,093 patents went nowhere; Picasso had to produce over 20,000 pieces of art to make a few masterpieces. We see the same trend with entrepreneurs. Before Uber, Travis Kalanick’s first startup declared bankruptcy. Oprah Winfrey was fired from her job as a reporter. Steve Jobs flopped with the Apple Lisa and got forced out of his own company before making his triumphant return — and even after the iPod succeeded, he made a bad bet on the Segway personal transporter. And with all of Richard Branson’s success in airlines, trains, music and mobile, he has also presided over the failure of Virgin cola, cars and wedding dresses. So take it from this group of elite failures. If at first you don’t succeed, you’ll know you’re aiming high enough. 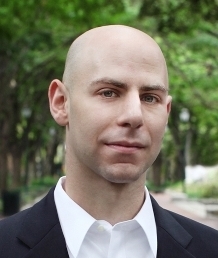 Adam Grant is the youngest tenured professor at Wharton. Named one of BusinessWeek’s favorite professors and one of the world’s 40 best business professors under 40, he is the best-selling author of Give and Take: A Revolutionary Approach to Success and Originals: How Non-Conformists Move the World.